Review - ENG vs SL - 4th ODI. With the first match ending in a draw and the third one being favored by the rain gods, the 5-match series was effectively a 3-match series now. And with England winning the second one in Edgbaston, Sri Lanka was left with no option than to win the last two contests in order to clinch the ODI series. Having won the toss, England captain, Eoin Morgan put the visitors to bat. England had included Moeen Ali in place of Chris Jordan whereas Sri Lanka was unchanged. Kusal Perera and Danushka Gunathilaka were sent in to face the new ball. It was not too long before England tasted first blood. In the second over, Jonny Bairstow's direct under-arm throw found Perera short of the crease. Kusal Mendis joined Gunathilaka in the middle and the young duo fought fire with fire. In no time, Gunathilaka and Mendis crossed the 50-run mark. They were 64-1 by the end of the first powerplay. Spin in the form of Adil Rashid was introduced in the 11th over but to no effect. Boundaries coming in at regular intervals saw Sri Lanka crossing the 100-run mark in the 15th over. Just when the 19th over began, with it came the fond memories of Bristol. The rain gods had interrupted the match, so much so that it had to be reduced to 42 overs a side game. T20 mode had struck Gunathilaka and Mendis just after the break. Resultantly, both of them fell to the leg spin of Rashid. It was a deja vu moment for Sri Lanka when all their aspirations were once again on Dinesh Chandimal and Angelo Mathews. Both of them constructed the innings against Rashid and Moeen Ali. The best part about their approach was that they did not let the fall of wickets become a hindrance for the run rate. The 31st over saw them crossing the 200-run mark. Chandimal lost his leg stump to David Willey on 63 in the 37th over. Seekuge Prasanna was promoted ahead of the in-form Upul Tharanga. The decision did not really work as Willey bowled him as well in his next over. Dasun Shanaka finished on 19* (10), giving full support to his captain, Mathews 67* (54). Sri Lanka ended their innings on 305-5. Rashid was the pick of the bowlers with his figures of 2-57 in nine overs. 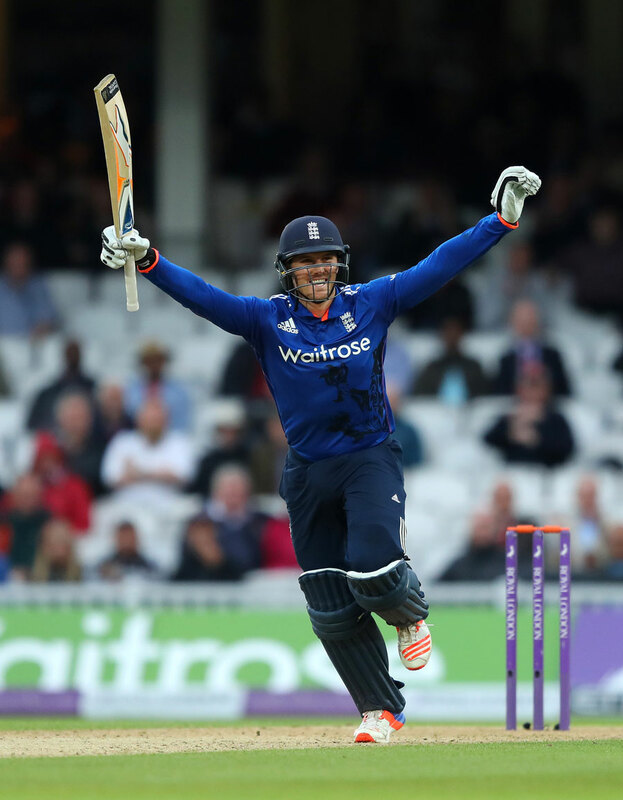 Willey also picked a couple of wickets for his 58 runs in eight overs. Alex Hales was set to miss some overs as he left the field due to an injury. Moeen Ali was sent in to open with Jason Roy. The target for England was 308 in 42 overs. As attacking as he is, Roy held the key for England at the top especially after Ali was sent back to the pavilion in the fourth over. Nuwan Pradeep found the edge of his loose drive which went straight to Chandimal behind the stumps. Roy was declared the Man of the Match. So was the case. Roy and Joe Root did not look back from thereon. By the end of the first powerplay, England reached 61-1. The 100-run mark was crossed in the 13th over. The run feast had begun amidst the possibility of rain. Overs 11-20 saw England score 97 runs without the loss of any wicket. 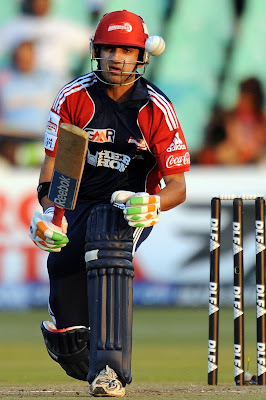 Root missed out on a big knock when he ill-timed a sweep straight to short fine-leg against the bowling of Gunathilaka. Morgan replaced his deputy in the middle. Roy completed his second century of this series in the 24th over. The feat coming only in 74 balls. The last delivery of the 30th over saw Morgan playing a fierce cut short which was grabbed unbelievably by Gunathilaka at backward point. England required 77 in the last 10 overs with seven wickets in hand. An English win was on the cards. But in the 38th over, Roy missed the golden opportunity of becoming England's highest run-scorer in an ODI innings. He got out on 162. 27 runs were required in 25 balls when Jos Buttler joined Bairstow in the middle. The duo reached the target with nine balls to spare. Pradeep picked up a couple of wickets for Sri Lanka. Gunathilaka and Suranga Lakmal managed a wicket each. It was another setback for Sri Lanka. They allowed England to chase their second-highest total in ODIs. This English win also means that they have an unassailable 2-0 lead in the series with only one match to go. Jason Roy was deservedly named the Man of the Match. Preview - SL tour of ENG - 2nd ODI. Review - India tour to Zimbabwe - 2nd ODI. Review - India's Tour to Zimbabwe - 1st ODI. Preview - The Investec Series - 3rd Test. WI Tri-Nation Series - Review - AUS vs SA.